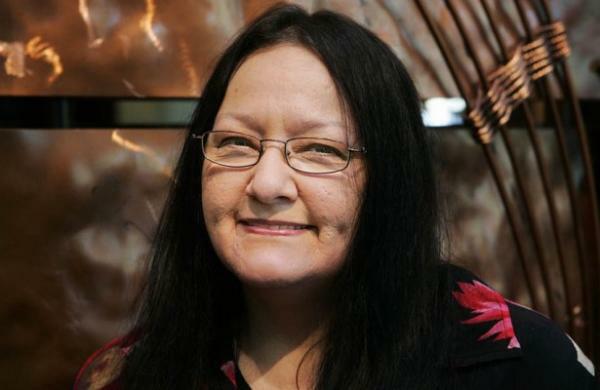 Native American Suzan Harjo is best known for her work on the Native American Graves Protection and Repatriation Act, and the American Indian Religious Act, but she is also a writer, curator and activist who has advocated for improvement of Native American lives. In recognition of her work and contributions, she has been chosen as an honoree to receive the Presidential Medal of Freedom. President Barack Obama named 19 honorees on November 10 to receive the Presidential Medal of Freedom, the nation’s highest civilian honor. These individuals are those who have made especially meritorious contributions to the security or national interests of the United States, to world peace, or to cultural or other significant public or private endeavors. The awards will be presented at the White House on November 24. At the Alaska Federation of Natives Convention on October 23, 2014, Alaska Governor Sean Parnell signed House Bill 216 – legislation designating 20 Native languages as official languages of the State of Alaska. Before that legislation, Alaska had just one “official” language: English. 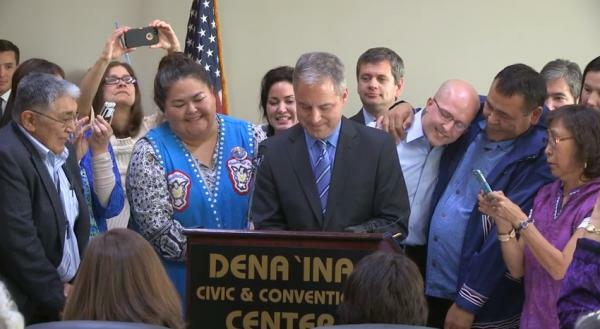 The governor signed the bill before hundreds of cheering Alaska Natives. The mood was emotional and jubilant. 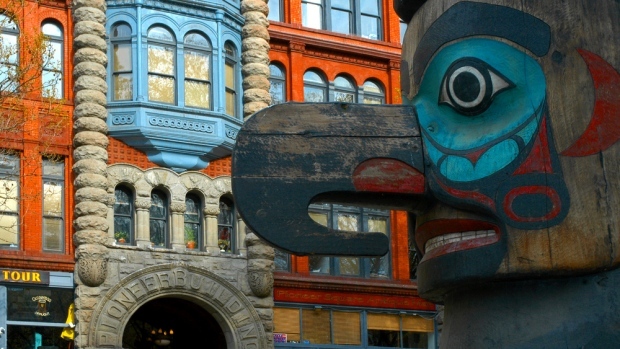 Seattle joins a growing number of cities officially recognizing Native American history. Columbus Day will now be known as Indigenous Peoples’ Day in Seattle. The Seattle City Council on Monday unanimously approved the re-designation, which acknowledges that Native Americans were living in North America well before Christopher Columbus “discovered America” in the 15th century, Reuters reports. The change faced some opposition from some members of Seattle’s Italian-American community, who view the day as a celebration of their cultural heritage (Columbus hailed from Genoa, Italy). The Seattle School Board voted last week to observe Indigenous Peoples’ Day and Columbus Day on the same day in public schools. Sarah Deer, a law professor at William Mitchell College of Law in Minnesota and a member of the Muscogee Creek Tribe, has been named as one of 21 Fellows of the MacArthur Foundation for 2014 to receive a “genius grant.” Each Fellow will provided with a grant of $625,000 over a five year period to spend as they wish on work and research. 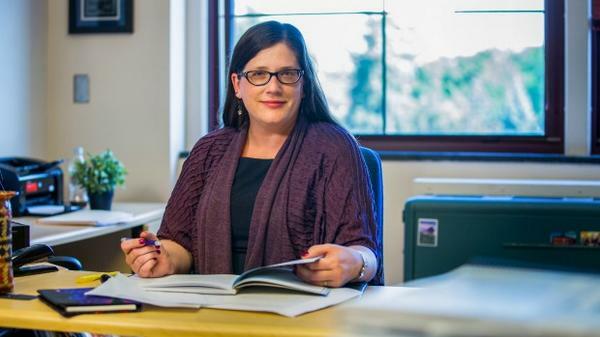 Sarah Deer’s focus has been on violent crime on Indian reservations and has documented in academic scholarship the historical and ideological underpinnings of the failure to adequately protect victims of physical and sexual abuse in Indian Country. She played an instrumental role in the 2013 reauthorization of the Violence Against Women Act, as well as testimony which is credited with the 2010 passage of the Tribal Law and Order Act. She has stated that she would likely spend the stipend she receives from the MacArthur Foundation on a project involving native women who have been victims of sexual assault. 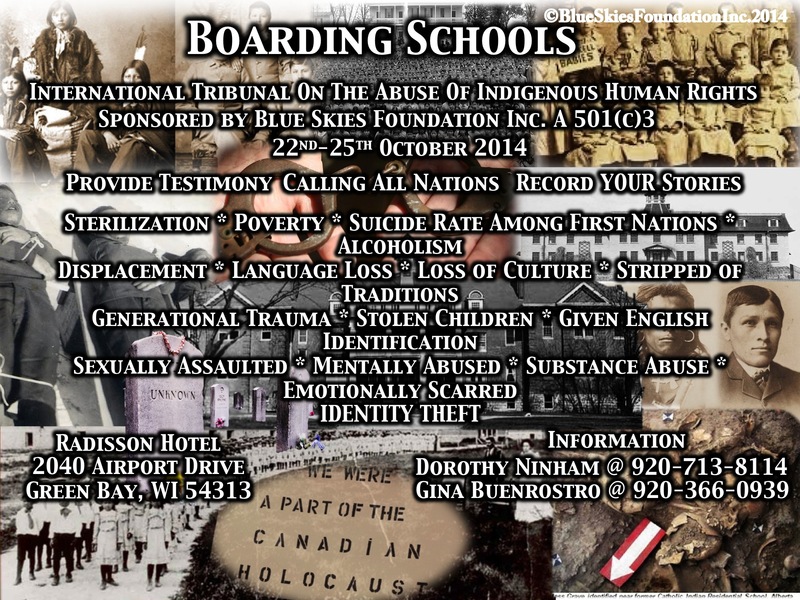 The Blue Skies Foundation will host a forum for and about Indian boarding school survivors – the first event of its kind in the United States – on October 22nd through the 25th, 2014, at the Radisson Hotel and Conference Center, in Oneida, Wisconsin. The forum is co-sponsored by the University of Minnesota Human Rights Center; Human Rights Action Center, Washington, DC; and others. The forum will focus on the experiences of Native children who were forced at early ages to attend Indian boarding schools. A panel of qualified Native judges will be listening to the witnesses as they provide first-hand testimony of the abuse and mistreatment they suffered at the hands of the federal government and religious institutions while being forced to live away from their families and Nations. The forum will provide boarding school survivors the opportunity to share their stories with the public, as well as a panel of distinguished judges who will provide conclusions and recommendations at the end of the tribunal. Testimony also will be filmed to create a permanent record of survivors’ accounts. The Foundation will host a live stream of the forum from its website. The event is open to the public and admission is free. 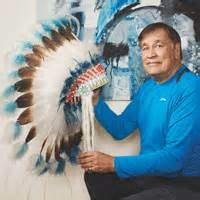 There are currently 566 federally recognized Native American tribes in the United States. However, there are still well over 200 tribes that remain unrecognized by the federal government. That might change under the proposed new rules by the Obama administration that would give more tribes a faster track at joining the ranks of the recognized by making it easier to prove their legitimacy.